Korea Tour Package: Jeju Island Tour – Also GO for the Mt. Seorak Tour! Jeju Island Tour – Also GO for the Mt. Seorak Tour! If you are planning for a tour to Korea, then you should add certain destinations at the top of your list that you need to explore first once you reach there. This part of the world has several tourist attractions. But among them the Jeju Island has really managed to draw attention from the foreign tourists coming to Korea. It’s your Jeju Island tour that can really add a new dimension and taste for your tour to Korea. There are some amazing sights that you need to explore while at Jeju Island. It should be the first place you need to visit once you arrive at Jeju Island. This peak is 182 m high. This peak has come into existence due to several volcanic eruptions and the making of this peak was started 100,000 years back. It’s a longest lava-tube and considered as the longest one in this world too. It is five meter wide as well as five to ten meters high. This lava tube is expanding over thirteen km. this lava tube is believed to be formed 2.5milion years back. Once you arrive at this site, you can really get mesmerized while looking at the fall coming down from the steep cliff. The actual meaning of this waterfall is Gods Pond. This waterfall is 12m wide, 22m high and 20m deep. It is also the place where Seven Fairies Festival is hosted every year during the month of May. This mountain is located right at the center of the Jeju Island. It is 1950 meter high and also known as the highest mountain peak in this nation. It is made of dormant-basalt volcano. The landscape associated with this mountain remains beautiful during the whole year. Here, you can also explore a diversified ecosystem which varies at different altitudes. Once you are done with your Jeju Island tour, you should opt for the Mt. Seorak tour. If you are adventure lover, then you should opt for such a tour while in Korea. 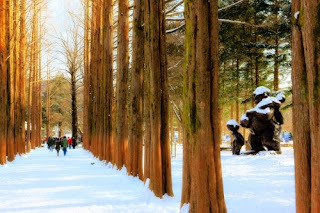 You can opt for daily tour or two days tour to this part of Korea. A hiking tour to the Mt. Seorak can really add more adventure for your tour to Korea. Mt. 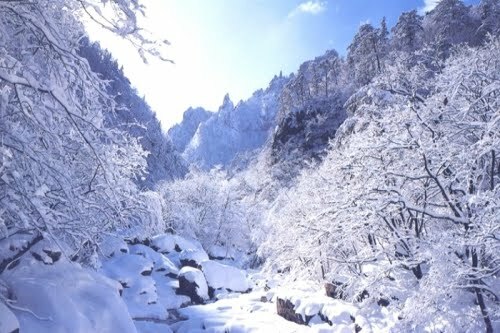 Seorak is also known as the UNESCO protected region in Korea. When you are going for a tour to Mt. Seorak, you should spend some time while exploring the snow cap peaks on this mountain from where snow is now melting slowly. There are also some tranquil temples that you can explore while going for the Mt. Seorak.